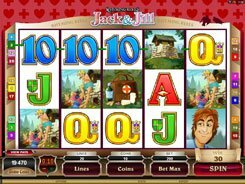 Powered by Microgaming, Gopher Gold is a 5-reel 5-payline slot with its theme and symbols centered around gold mining. 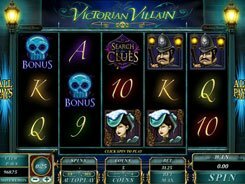 The slot has a straightforward gameplay, cartoonish graphics and easy rules that would appeal to first-comers. A bet size ranges from $0.25 to $25. On the reels, you will come across mining-themed symbols including a lantern, a pick axe, a dynamite, a coin-filled trolley, and a gopher with a golden tooth. These are joined by standard card symbols from 10 to A. 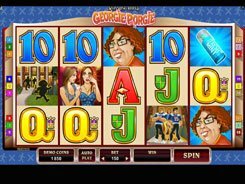 The only bonus feature in the slot is a wild symbol depicted by a gopher. 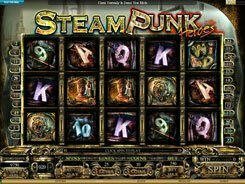 It has a power to substitute for other symbols to finish a payline, yet it does not multiply payouts. 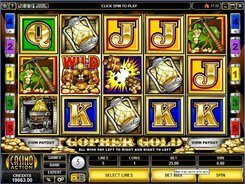 The second-largest jackpot of x5000 times a line bet is granted for five Dynamites, and the top prize worth x12,000 is awarded for a Gopher Gold’s logo if five display across an active payline. if betting a maximum of $5 per line, you can take away a massive $60,000! 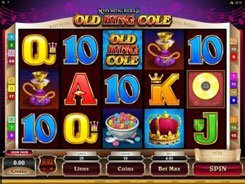 This funny no-frills game will definitely catch the fancy of rookies and 5-reel slot aficionados.